Debauchery, burlesque and booze reflect what Printers Alley does best: nightlife. But it wasn’t just booze that built Printers Alley, and it isn’t just booze that defines it today. A National Register Historic District, Printers Alley has a past that is part of the larger conversation of Nashville’s history, but it is also a place that holds a character uniquely its own. The hub of Nashville’s printing industry, which hit its heyday in the early 1900s, Printers Alley is aptly named to reflect its storied past of publishers and printers — The Tennessean and the Nashville Banner being two of them. Men in the industry, along with judges, lawyers and other high hitters frequented the saloons and cafes after a long day’s work. When Prohibition came, the neighborhood’s saloons turned to speakeasies. Hotels aren’t the only option for hanging your hat in Printers Alley. Two residents of the area, Gary Bowie and Melody Malloy, have transformed historic apartments into vacation rentals that offer (most) of the amenities of a hotel with all the character of individual spaces. Twelve luxury lofts that occupy two buildings on Third Avenue allow you to live like a local in Printers Alley. 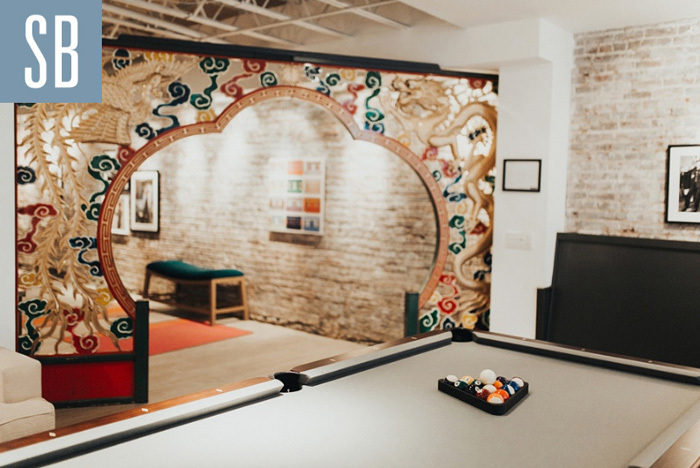 Known as Printers Alley Lofts, these rentals are ideal for visitors or locals looking to be visitors in their own city. Read more about the lofts here. Printers Alley Lofts offer an overnight option unlike any other.